Derek Peardon was a champion schoolboy footballer and gifted professional runner who was the first aboriginal player for Richmond. 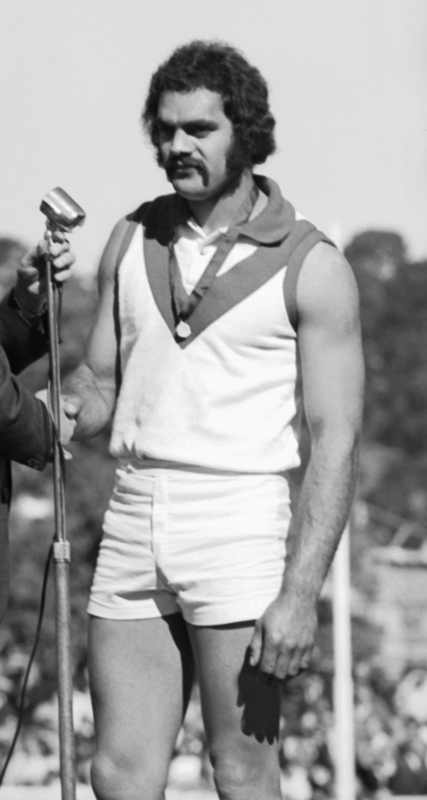 Selected in the 1965 All-Australian Schoolboys’ team, he played in the 1966 Richmond Fourths premiership side as well as the 1967 Under 19s premiership and 1971 Reserves premiership, his last game for the club. Upon returning to Tasmania in 1972, Peardon played six seasons for City-South (Launceston), including premierships in 1972 and 1974. During this period he won two club and one Association Best and Fairest awards. He also represented the NTFA and Tasmania. He concluded his outstanding career with a season for North Hobart in the Tasmanian Football League.